Click on each learning game icon to play. Each game is quick and fun. 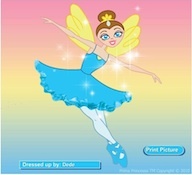 After you complete each game a beautiful picture of Prima Princessa, a fairy ballerina, will appear. Next you can click print and a black and white version will be available to for you to then print out and enjoy coloring in. Enjoy our learning games! We have a Connect the Dot ABC Learning Game, 3 connect the dot games to help you learn numbers plus a memory game. 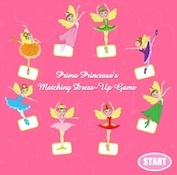 Come play Prima Princessa’s learning Games for kids. We have 6 educational learning games specifically designed for preschool, age children. These learning games will help your child practice his or her ABCs as well as his or her counting from 1 to 100. The key to learning the ABC and counting from 1 to 100 for young children is a little bit of practice each day. There are many ways to make this practice fun. 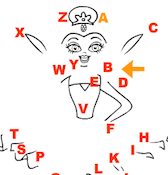 Prima Princessa makes learning fun with these 6 learning games. There are 5 connect the dots games and one memory matching game. 4 of our connect the dots games are number learning games and the other connect the dot game is a ABC learning game. These games are very interactive. Children enter their first name into the game playing field. After they are done playing a beautiful picture of Prima Princessa pops up in full color with music! Kids will love this sparkly surprise at the end of the learning game. Children then have the option to print out the picture of Prima Princessa which has all the learning game information still on it. This picture has their name on it. It is an 8.5” x 10” size. It is in black and white so after it prints out kids can color it in. Prima Princessa believes that learning should be enriching and fun! Our online learning games are just one thing we offer for children. Our series of 3 shows are all educational and fun for children ages 3 to 6. These shows are available for sale on Amazon.com. They encourage children to get up and dance. 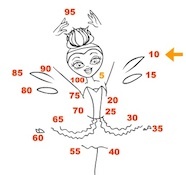 Prima Princessa, an adorable cartoon ballerina is the same character in the shows as in our learning games. Children will enjoy seeing Prima Princessa in the shows as well as in the learning games. Prima Princessa is available worldwide. If you live in the UK you can purchase the version of our shows where Prima Princessa has a British accent!